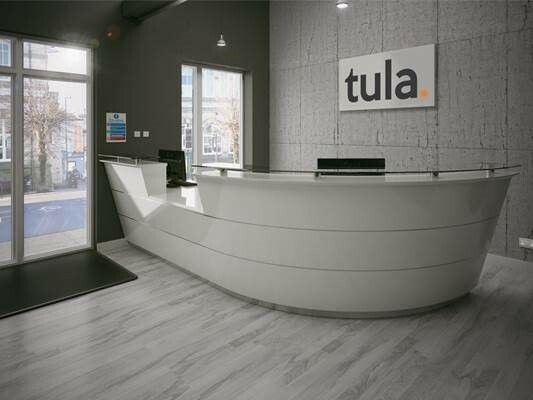 Tula Scene Reception are a Classic design with clean lines featuring glass, steel, veneer and laminate in endless combinations. 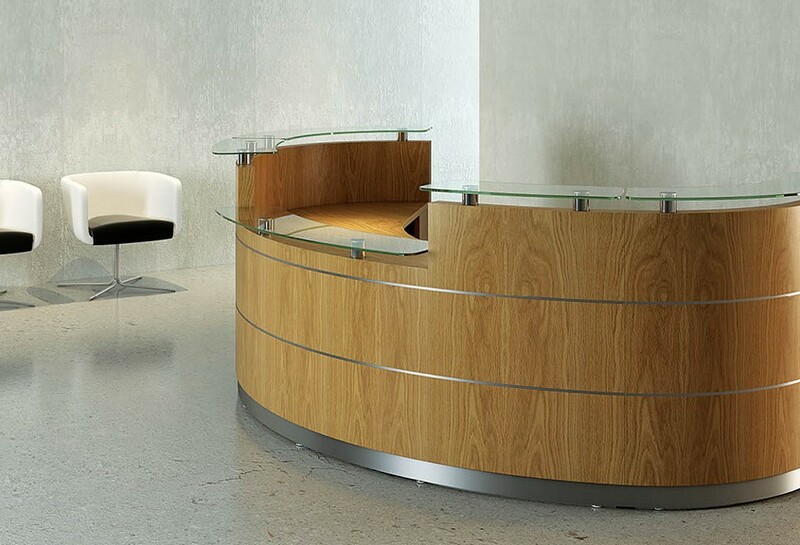 Scene adapts to every environment in form and finish. 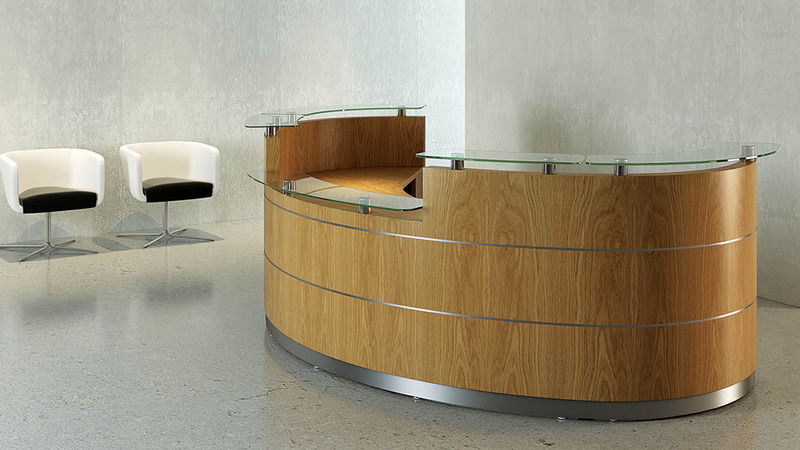 Straight / curved, high / low. 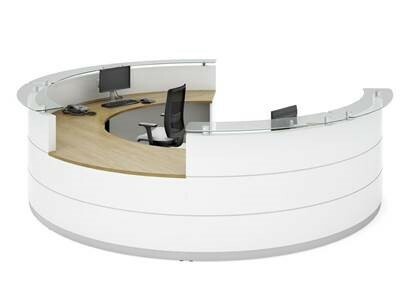 From large, multi-user footprints to compact, small space desks. 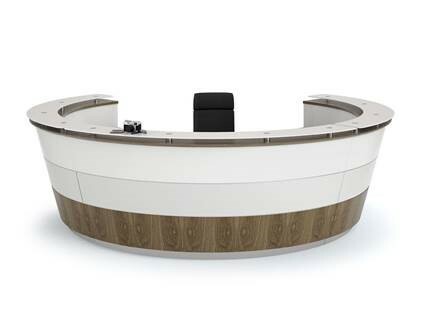 Scene desks feature discreet cable management for easy telephone and IT installation, as well as a range of paper management solutions. 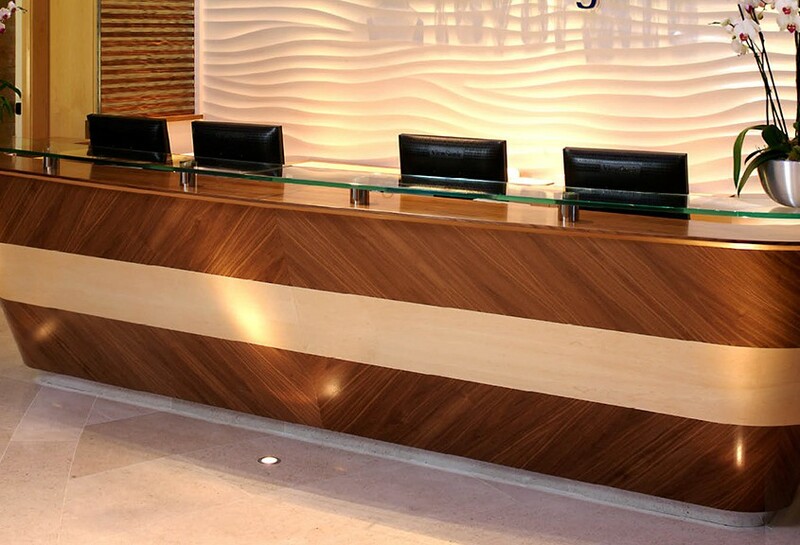 LED lighting can be fitted to plinths and logo panels to create additional impact. 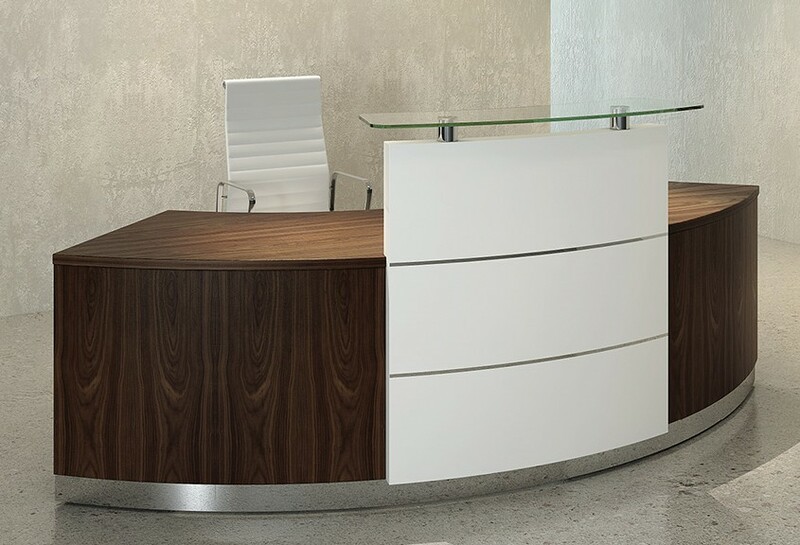 Scene can be tailored from our extensive selection of modules and finishes, or manufactured completely bespoke to deliver your desk exactly the way you want it. 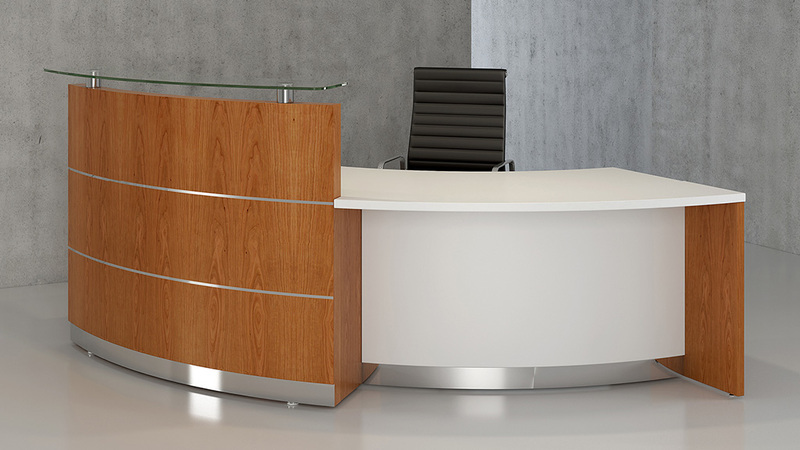 Premia Reception counters have sweeping curves and subtle angles are brought together in a design that can be tailored to suit every environment. 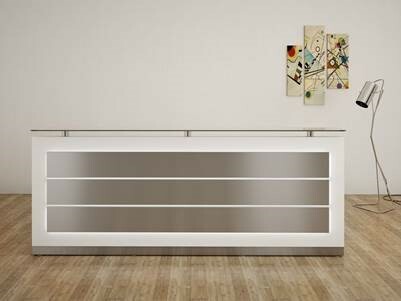 Finishes include a wide range of veneers and laminates which can be combined with steel, glass and chrome. 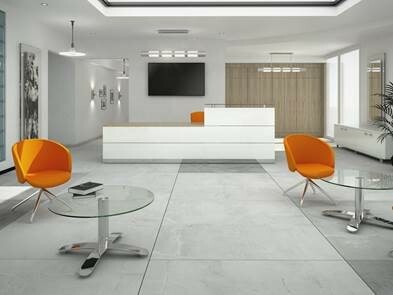 Cables are easily managed from floor boxes or wall sockets, with access panels fitted in the structure as required. 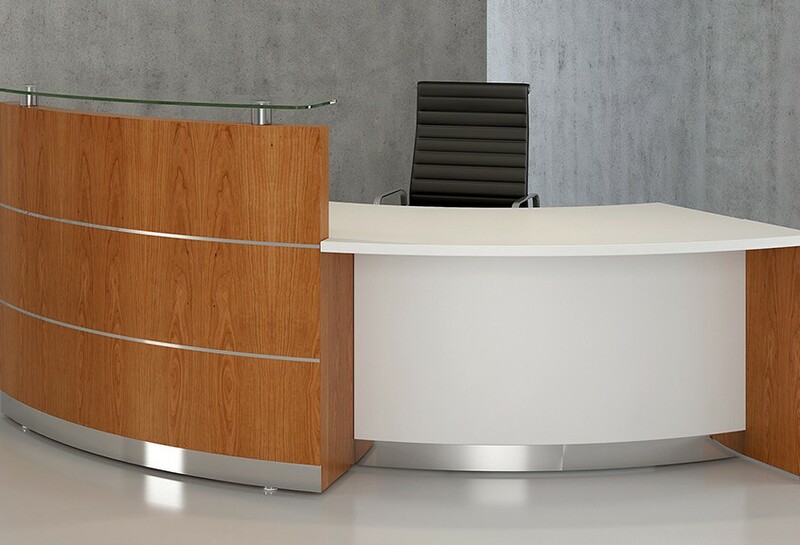 Cable outlets in the desk top can be in hardwood, stainless steel or chrome. 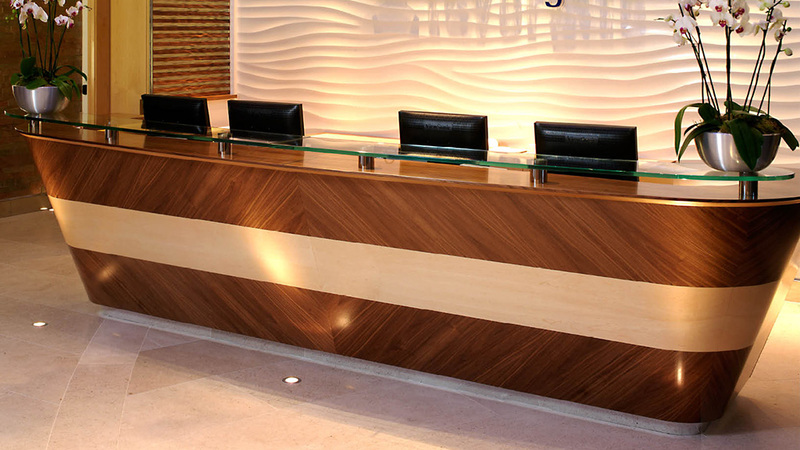 Corporate graphics can be incorporated in glass or laser cut veneer if required. 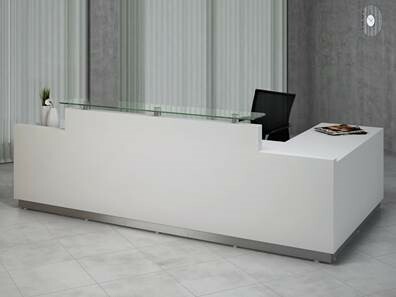 Contor Reception counters have over desk modules provide counter surfaces and a housing to conceal display screens. 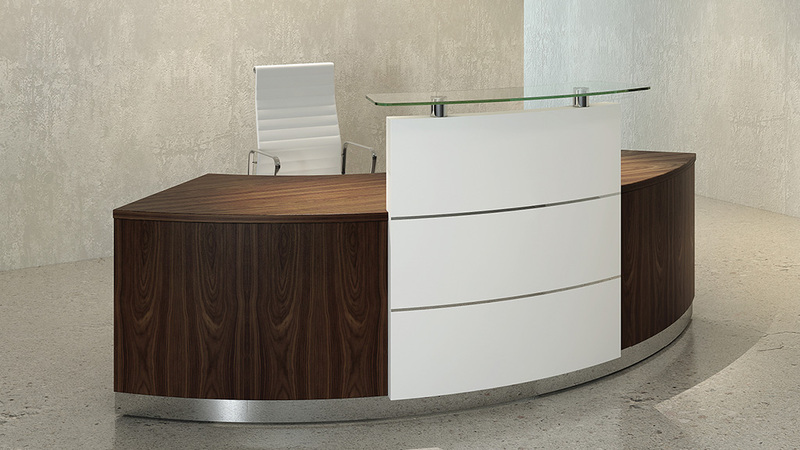 Paper and file storage can be fitted inside if required. 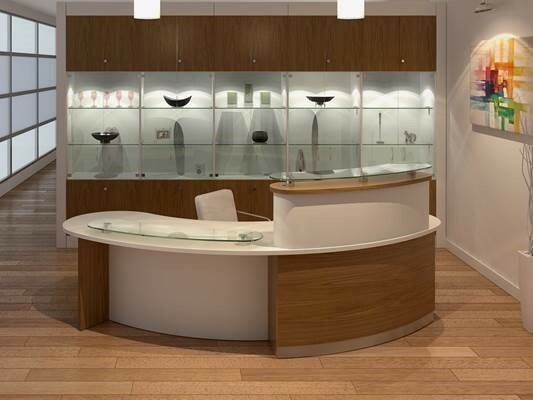 Contor is available in many finishes including veneer, laminate, toughened glass, steel, corian, granite & marble.